Happily Ever After!! : I just LOVE this little girl! 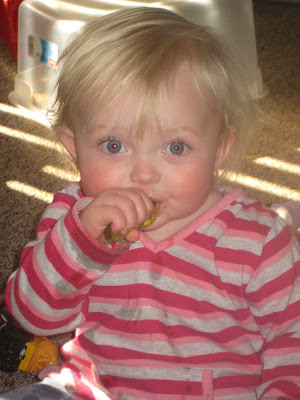 Yes, my little girl is eating a pickle... And has to have one if she sees one. Dang! She has got the most gorgeous eyes! I wonder how she ever learned to love eating pickles?! I love you blog name...it is perfect!